For other uses, see Colette (disambiguation). 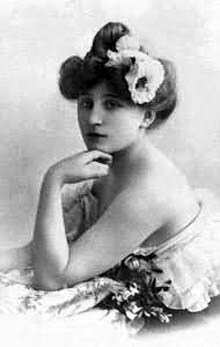 Colette (French: [kɔ.lɛt]; Sidonie-Gabrielle Colette, 28 January 1873 – 3 August 1954) was a French author and woman of letters nominated for the Nobel Prize in Literature in 1948; also known as a mime, actress, and journalist. Colette was most widely known for her 1944 novella Gigi (1944), which was the basis for the 1958 film and the 1973 stage production of the same name. Sidonie-Gabrielle Colette was born on January 28, 1873, to war hero and tax collector Jules-Joseph Colette and his wife Adèle Eugénie Sidonie ("Sido"), née Landoy, in the village of Saint-Sauveur-en-Puisaye in the department of Yonne, Burgundy. The family was initially well off, but poor financial management substantially reduced the family's income, and Colette attended a public school from the ages of 6 to 17. She had a cousin, Genevieve, with whom she was particularly close. In 1893, Colette married Henry Gauthier-Villars (1859 – 1931), a well-known author and publisher who used the pen name "Willy", and her first four novels – the four Claudine stories: Claudine à l'école (1900), Claudine à Paris (1901), Claudine en ménage (1902), and Claudine s'en va (1903) – appeared under his name. (The four are published in English as Claudine at School, Claudine in Paris, Claudine Married, and Claudine and Annie). The novels chart the coming of age and young adulthood of their titular heroine, Claudine, from an unconventional fifteen-year-old in a Burgundian village to a doyenne of the literary salons of turn-of-the-century Paris. The story they tell is semi-autobiographical – most strikingly, Claudine, unlike Colette, is motherless. Willy, fourteen years older than his wife and one of the most notorious libertines in Paris, introduced Colette into avant-garde intellectual and artistic circles, engaged in sexual affairs, and encouraged Colette's lesbian alliances. It was he who chose the titillating subject matter of the Claudine novels: "the secondary myth of Sappho... the girls' school or convent ruled by a seductive female teacher". Colette later said that she would never have become a writer if it had not been for Willy. Nevertheless, when Colette wished to have her name associated with her work as it became widely known, Willy resisted and "locked her in her room until she produced enough pages to suit him." Colette and Willy separated in 1906, although their divorce was not final until 1910. 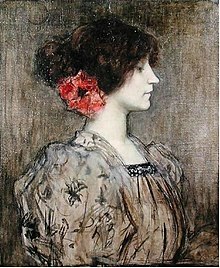 Colette had no access to the sizable earnings of the Claudine books – the copyright belonged to Willy – and until 1912 she initiated a stage career in music halls across France, sometimes playing Claudine in sketches from her own novels, earning barely enough to survive and often hungry and unwell. 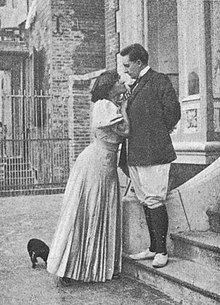 This period of her life is recalled in La Vagabonde (1910), which deals with women's independence in a male society, a theme to which she would regularly return in future works. During these years she embarked on a series of relationships with other women, notably with Mathilde de Morny, the Marquise de Belbeuf ("Missy"), with whom she sometimes shared the stage. On January 3, 1907, an onstage kiss between Missy and Colette in a pantomime entitled "Rêve d'Égypte," caused a near-riot, and as a result they were no longer able to live together openly, although their relationship continued for another five years. In 1912, Colette married Henry de Jouvenel, the editor of Le Matin. A daughter, Colette de Jouvenel, nicknamed Bel-Gazou, was born to them in 1913. During World War I Colette devoted herself to journalism. The marriage allowed her to devote her time to writing. In 1920 Colette published Chéri, portraying love between an older woman and a much younger man. Chéri is the lover of Léa, a wealthy courtesan; Léa is devastated when Chéri marries a girl his own age, and delighted when he returns to her, but after one final night together she sends him away again. Colette's marriage to Jouvenel ended in divorce in 1924, due partly to his infidelities and partly to her affair with her 16-year-old stepson, Bertrand de Jouvenel. In 1925 she met Maurice Goudeket, who became her final husband; the couple stayed together until her death. Colette was by then an established writer (The Vagabond had received three votes for the prestigious Prix Goncourt). The decades of the 1920s and 1930s were her most productive and innovative period. Set mostly in Burgundy or Paris during the Belle Époque, her work focused on married life and sexuality. It was frequently quasi-autobiographical: Chéri (1920) and Le Blé en Herbe (1923) both deal with love between an aging woman and a very young man, a situation reflecting her relationship with Bertrand de Jouvenel and with her third husband Goudeket, who was 16 years her junior. La Naissance du Jour (1928) is her explicit criticism of the conventional lives of women, expressed in a meditation on age and the renunciation of love by the character of her mother, Sido. By this time Colette was frequently acclaimed as France's greatest woman writer. "It... has no plot, and yet tells of three lives all that should be known", wrote Janet Flanner of Sido (1929). "Once again, and at greater length than usual, she has been hailed for her genius, humanities and perfect prose by those literary journals which years ago... lifted nothing at all in her direction except the finger of scorn." Colette was 67 years old when the Germans defeated and occupied France, and she remained in Paris, in her apartment in the Palais Royal. Her husband Maurice Goudeket, who was Jewish, was arrested by the Gestapo in December 1941, and although he was released after a few months through the intervention of the French wife of the German ambassador, Colette lived through the rest of the war years with the anxiety of a possible second arrest. During the Occupation she produced two volumes of memoirs, Journal à Rebours (1941) and De ma Fenêtre (1942; the two were issued in English in 1975 as Looking Backwards). She wrote articles for several pro-Nazi newspapers and her novel Julie de Carneilhan (1941) contains many anti-Semitic slurs. In 1944 Colette published what became perhaps her most famous work, Gigi, which tells the story of sixteen-year-old Gilberte ("Gigi") Alvar. Born into a family of demimondaines, Gigi is trained as a courtesan to captivate a wealthy lover, but defies the tradition by marrying him instead. In 1949 it was made into a French film starring Danièle Delorme and Gaby Morlay, then in 1951 adapted for the stage with the then-unknown Audrey Hepburn in the title role, picked by Colette personally; the 1958 Hollywood musical movie, starring Leslie Caron and Louis Jourdan, with a screenplay by Alan Jay Lerner and a score by Lerner and Frederick Loewe, won the Academy Award for Best Picture. 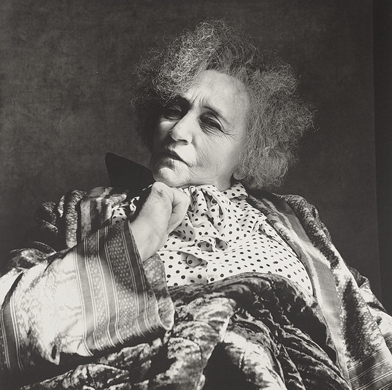 In the postwar years, Colette became a famous public figure, crippled by arthritis and cared for by Goudeket, who supervised the preparation of her Œuvres Complètes (1948 – 1950). She continued to write during those years, bringing out L'Etoile Vesper (1944) and Le Fanal Bleu (1949), in which she reflected on the problems of a writer whose inspiration is primarily autobiographical. She was nominated by Claude Farrère for the Nobel Prize in Literature in 1948. On her death on August 3, 1954, she was refused a religious funeral by the Catholic Church on account of her divorces, but given a state funeral, the first French woman of letters to be granted the honour, and interred in Père-Lachaise cemetery. 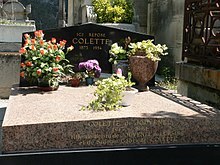 Colette's tomb in Père Lachaise Cemetery. Colette was elected to the Belgian Royal Academy (1935), the Académie Goncourt (1945, and President in 1949), and a Chevalier (1920) and Grand Officer (1953) of the Légion d'honneur. Colette's numerous biographers have proposed widely differing interpretations of her life and work over the decades. Initially considered a limited if talented novelist (despite the outspoken admiration in her lifetime of figures such as André Gide and Henry de Montherlant), she has been increasingly recognised as an important voice in women's writing. Just before Colette's death, Katherine Anne Porter wrote in the New York Times that Colette "is the greatest living French writer of fiction; and that she was while Gide and Proust still lived." Singer-songwriter Rosanne Cash paid tribute to the writer in the song, "The Summer I Read Colette," on her 1996 album 10 Song Demo. Truman Capote wrote a short story about her in 1970 called "The White Rose." "Lucette Stranded on the Island" by Julia Holter, from her 2015 album Have You in My Wilderness, is based on a minor character from Colette's short story Chance Acquaintances. In the 1991 film Becoming Colette, Colette is played by the French actress Mathilda May. In the 2018 film Colette, the title character is played by Keira Knightley. Both films focus on Colette's life in her twenties, her marriage to her first husband, and the publication of her first novels under his name. ^ Tilburg 2008, p. 78. ^ Portuges & Jouve 1999, p. 79. ^ Koski, Lorna (27 December 2013). "Book Tells Story of Colette's France". WWD. Retrieved 3 January 2014. ^ Southworth 2004, pp. 111–112. ^ Flower 2013, p. 78. ^ Ladimer 1999, pp. 51–53. ^ Portuges & Jouve 1994, p. 79. ^ "8 Fascinating Facts About Bisexual Legend Colette That You Should Know Before Keira Knightly's Biopic". Autostraddle. 24 July 2018. Retrieved 31 July 2018. ^ a b c d e f g Flower 2013, p. 145. ^ Rodriguez 2002, p. 131. ^ Benstock 1986, pp. 48–49. ^ a b c Portuges & Jouves 1994, p. 80. ^ a b Cottrell 1991, p. 262. ^ Jouves 1987, p. 109–111. ^ Ladimer 1999, p. 57. ^ Ladimer 1999, p. 57–58. ^ Flanner 1972, p. 70. ^ a b Portuges & Jouve 1994, pp. 80–81. ^ a b Rosbottom 2014, p. unpaginated. ^ "Terry Castle Reviews Secrets of the Flesh: A Life of Colette by Judith Thurman". London Review of Books. 16 March 2000. Retrieved 17 January 2019. ^ "Wild, controversial and free: Colette, a life too big for film". The Guardian. 7 January 2019. Retrieved 17 January 2019. ^ Snodgrass 2015b, p. unpaginated. ^ "Sidonie Gabrielle Colette in the Nomination Database". The official website of the Nobel Prize - NobelPrize.org. Retrieved 24 September 2018. ^ "Claudine All Grown Up". archive.nytimes.com. Retrieved 31 July 2018. ^ "A Most Lively Genius". archive.nytimes.com. Retrieved 31 July 2018. ^ Capote, Truman (2007). Portraits and Observations: The Essays of Truman Capote. Random House. p. 368. ISBN 9780812994391. ^ "'There's Always A Piece Of Me': Julia Holter On Storytelling". NPR.org. NPR. Retrieved 20 October 2016. ^ Hoffman, Jordan (22 January 2018). "Colette review – Keira Knightley is on top form in exhilarating literary biopic". The Guardian. London. Retrieved 27 January 2018. ^ Norell, Donna M. (1993). Colette: An Annotated Primary and Secondary Bibliography. Garland Reference Library of the Humanities. Routledge. ISBN 9780824066208. Benstock, Shari (1986). Women of the Left Bank: Paris, 1900–1940. University of Texas Press. Cottrell, Robert D. (1991). "Colette". In Wilson, Katharina M. (ed.). An Encyclopedia of Continental Women Writers. 1. Taylor & Francis. Flanner, Janet (1972). Paris was Yesterday. Viking. Flower, John (2013). Historical Dictionary of French Literature. Scarecrow Press. Hennigfeld, Ursula/ Hörner, Fernand/ Link-Heer, Ursula (2006). Literarische Gendertheorie. Eros und Gesellschaft bei Proust und Colette. Bielefeld, Transcript. Jouve, Nicole Ward (1987). Colette. Indiana University Press. Ladimer, Bethany (1999). Colette, Beauvoir, and Duras: Age and Women Writers. University Press of Florida. Portuges, Catherine; Jouve, Nicole Ward (1994). "Colette". In Sartori, Eva Martin; Zimmerman, Dorothy Wynne (eds.). French Women Writers. University of Nebraska Press. Rodriguez, Suzanne (2002). Wild Heart: Natalie Clifford Barney and the Decadence of Literary Paris. Harper Collins. Rosbottom, Ronald (2014). When Paris Went Dark. Hachette. Sharland, Elizabeth (2005). A Theatrical Feast in Paris: From Moliere to Deneuve. iUniverse. Smith, Richard Candida (1999). Mallarme's Children: Symbolism and the Renewal of Experience. University of California Press. Snodgrass, Mary Ellen (2015a). "Colette". In Snodgrass, Mary Ellen (ed.). Encyclopedia of Feminist Literature. Infobase Learning. Snodgrass, Mary Ellen (2015b). "Gigi". In Snodgrass, Mary Ellen (ed.). Encyclopedia of Feminist Literature. Infobase Learning. Southworth, Helen (2004). The Intersecting Realities and Fictions of Virginia Woolf and Colette. Ohio State University Press. Taylor, Karen L. (2006). The Facts on File Companion to the French Novel. Infobase Publishing. Tilburg, Patricia (2008). "Colette". In Granata, Cora Ann; Koos, Cheryl A. (eds.). The Human Tradition in Modern Europe, 1750 to the Present. Rowman & Littlefield. Colette: Autograph letters, signed (6): Paris; Manoir de Rozven par S. Coulomb, Ille-et-Vilaine; and [n.p. ], to D. E. Inghelbrecht and Colette Inghelbrecht, 1909–1948 and n.d. are housed at the Pierpont Morgan Library. Wikimedia Commons has media related to Colette.